Last week we reported on that growth in the printed circuit board industry has generally oupaced the U.S.,with the sector posting some impressive sales and employment numbers over the past year. IndustryNet lists thousands of PCB companies, and considering the printed circuit board often acts as the "brain" of a device, selecting the right one for a project is a critical step. Finding a PCB source becomes an equally critical component of the device's design and construction. IndustryNet.com has compiled a few key steps in zeroing in on the best PCB manufacturer for your company's needs. The size, shape, and complexity of the PCB depends on the intended function it will serve. Many PCBs will populate a broader, larger panel so more features are enabled than a single PCB can provide. In many industries, PCB construction must comply with national and international standards, such as Restriction of Hazardous Substances and Underwriters' Laboratories standards. Consequently, many manufacturers are careful to ensure their PCB products comply with current requirements. Virtually every industry uses PCBs, so there are as many variations of Industry-specific designsPCB design and construction as there are industries. Some PCB manufacturers, such as Delta Circuits, cater to many sectors. Delta creates PCBs for soft drink dispensing machines as well as telecommunications equipment. Other PCB companies such as Galaxy Circuits, add "green" technology considerations to their manufacturing processes. PCB companies that cater to the military or defense industries, such as Micron Corp, must register with and follow the International Traffic in Arms Regulations. When searching for a PCB producer or distributor, determine whether the project at hand must comply with specified industry regulations or standards. Simple PCBs can be as slim as four layers, while PCBs that handle a multitude of functions can be several layers deep, double-sided and manufactured from a wide variety of materials, depending on their use. Companies that strategize how their PCB will function will be able to specify console expectations for the producer so that manufacturing choices are tailored specifically for that purpose. 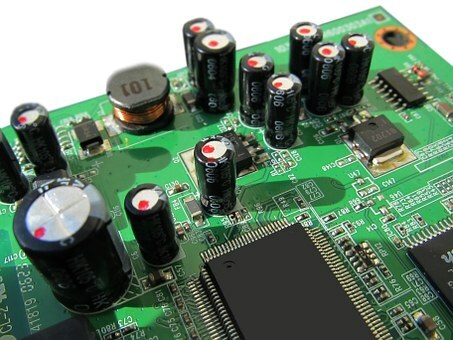 Each PCB manufacturer offers a specified list of products and services. Some will both fabricate and assemble the PCB, while others offer a full design, build and assembly suite which includes testing as well. Most provide both surface mount capabilities and thru-hole assemblies, but not all do.PCBs come in every shape and size. Those that are mass produced are typically less expensive than those custom built. 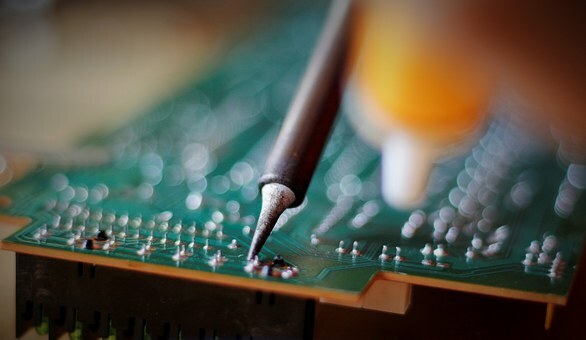 IndustryNet.com offers a complete list of PCB manufacturers that can handle even the most complex project, from PCB assembly and design, to PCB equipment and repair. To connect with companies in the printed circuit board industry and beyond, visit IndustryNet.com and start your free search today. Related Companies: Delta Circuits, Inc., Galaxy Circuits, Inc., Micron Corp.